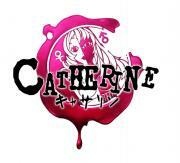 Catherine is a puzzle platformer adventure video game developed by Atlus for PlayStation 3 and Xbox 360. The story follows Vincent Brooks, a man who is beset by supernatural nightmares while torn between his feelings for longtime girlfriend Katherine and the similarly-named beauty Catherine. The gameplay is divided between daytime hours, where Vincent interacts with the characters, and his dreams where he must navigate three-dimensional tower puzzles.